I guess I was in kind of a green mood when I created this because after I photographed it and was editing it I wondered why I didn't use blue stripes for a sky. 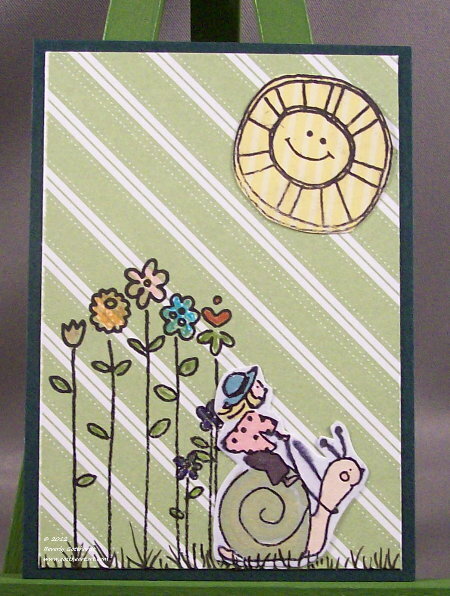 She looks like she's having fun riding her snail in the garden on a pretty sunny day. Thanks Wicked Wednesday for giving us lots of days to enter, I'm squeezing in this time. Sweet! I love that the stripes are on the diagonal and green. 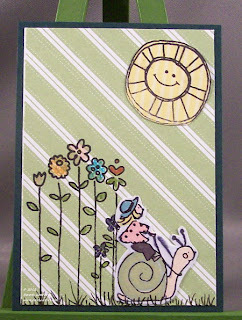 This atc is so full of whimsy. It makes me smile. Thank you.